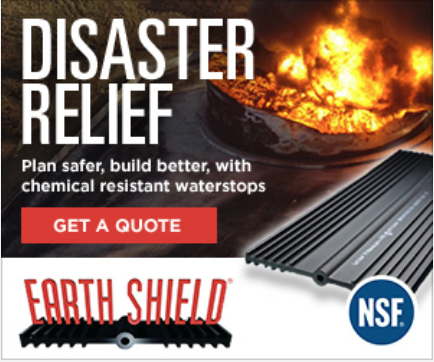 Movie file illustrates the proper placement of Earth Shield® (part no. JP636 as manufactured by JP Specialties, Inc.) ribbed centerbulb waterstop in a concrete expansion joint. 3-D orbit point isometric. For help with your specific waterstop application, consult with JP Specialties technical sales & engineering staff. Demonstrates the proper welding of Earth Shield Waterstops. Thermoplastic waterstop welding.